Companies that are using cloud computing are paying as little as one-tenth for the same processing power as they would for equivalent in-house facilities. This emerged from a floor debate at the Powered by Cloud conference in London this week. Asked what return on investment they had achieved from their cloud experiments, representatives from mobile network operator Vodafone and TV broadcaster Channel 4 said the cost of their cloud-based processing was a tenth of traditional in-house computing. A speaker for Verizon, which offers cloud computing, said its customers were saving between 25% and 75% of the traditional costs. Phil Dally, senior enterprise architect for mobile network operator Orange, said the firm had closed two datacentres as a result of the efficiencies achieved by consolidating some applications on cloud servers. "But that's not the only reason to do it," he added. 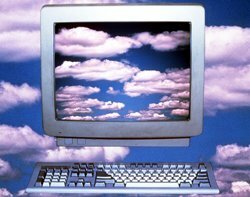 He said Orange was more motivated by the reduction in time needed to bring a new application or service to market that cloud computing enabled. The benefits of doing this might justify spending more on the cloud application, he said. Channel 4's CTO, Bob Harris, echoed this. He cited the launch of the third season of the Skins teenage drama, and the latest Big Brother series, both of which were tightly linked to corresponding websites. "A lot of people now watch TV while using their laptops," he said. "When a presenter gave a call to action, such as 'vote now', you could see the web traffic peak. It was like a denial of service attack, but this was good traffic," he said. Channel 4 pre-empted server busy signals by dialling up extra processing power from Amazon's EC2 service on a hour-to-hour basis, Harris said. William O'Mullane, a scientist with the European Space Agency, said the agency was using The Server Labs processing and Amazon's S3 cloud-based data storage facility to prepare and processes the billion-star sky maps that will be generated by the Gaia project. He said he had budgeted €1m in 2015 to buy the hardware to process and store in house the 100Tb of data Gaia would produce. He said Amazon was presently costing him €400,000 a year, but they were in talks to reduce this to €300,000 a year. "I may never have to take that [purchase] decision," he said.